It is the season of advent ~ the season of waiting. In North America, we count down the days until Christmas ~ only 15 shopping days left! We look forward to time with family and friends. Children are excited and expectant. But this is not the kind of waiting that impacts our lives! However, in the occupied West Bank it is a different story. Waiting is not seasonal. It is a very frustrating, time consuming, and humiliating part of daily life. Waiting can even be a matter of life or death. 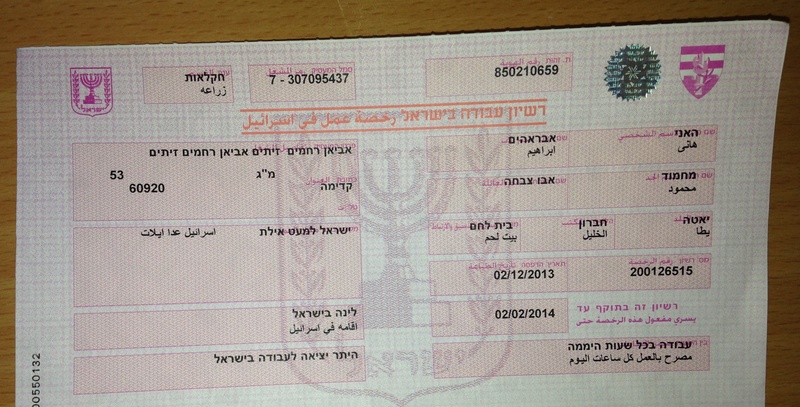 Palestinians who hope for jobs in Israel wait to get permits. A friend’s permit is taken away and he waits for it to be returned. Her permit expires and my friend waits for it to be renewed. 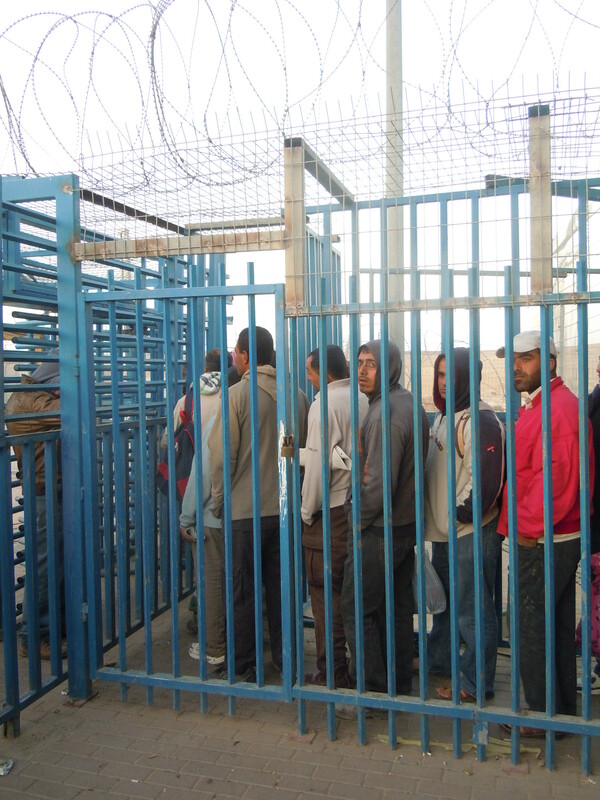 Thousands of workers entering Israel wait for the checkpoints to open at 4AM. Once through the checkpoint, they wait for the buses to transport them to their workplace. Coming back through the checkpoint at day’s end, they wait for the communal taxis to fill up before they can return to their homes. Refugees wait in line for the UN Relief office to open. The school car that transports children to school in the closed firing zone of Masafer Yatta is confiscated by the army, and the children wait for it to be released. Palestinians wait for permits to visit relatives or work their land ~ go to the hospital or attend funerals ~ pick their olives or pray in Jerusalem. Their lives are controlled by permits ~ or even worse, the lack of them. And then there is the military occupation which already has gone on 46 years too long ~ if one begins counting the years since 1967. And so Palestinians wait for the occupation to end. They wait for the right to return to their homes and lands. They wait for justice ~ and for peace ~ the ever illusive just peace ~ And they wait for the world to notice ~ and to care ~ and to act. Could it be that we are the ones they are waiting for? 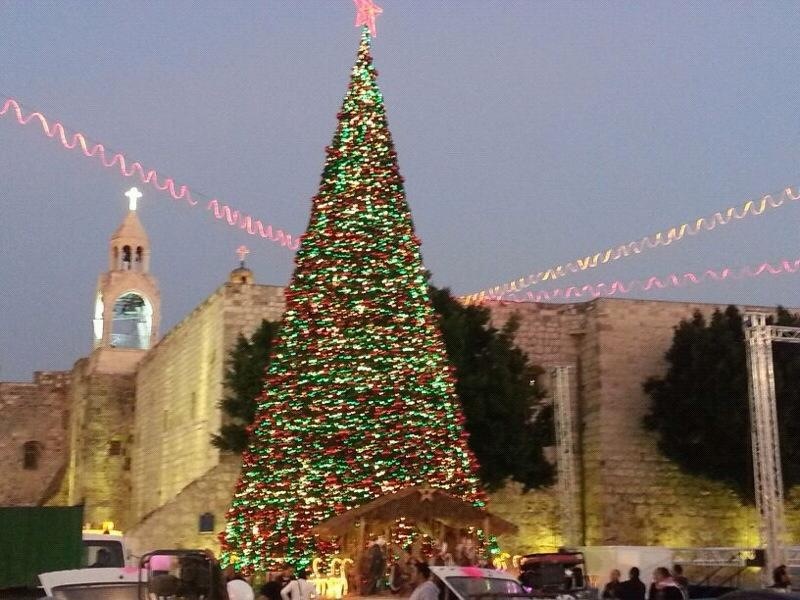 As we wait this advent, may we remember those who wait here in Palestine. May our hearts open. May our compassion have both roots and wings. May the love that this season symbolizes be born in us anew ~ And may it manifest in concrete actions that will bring the hoped for just peace to all who still wait. A new take on the Advent message of waiting, powerfully stated, Dawn. You share the frustration, fear and injustice of the Palestinians so clearly. I am reminded of the description of waiting at the checkpoints in the memoir, “I Shall Not Hate.” Your witness brings to life the terrible struggle that is the daily experience for the Palestinians. Thank you! I remember this autumn, when we visited Israel, the way our Israeli guide talked (we had to take one). He tried to convince us about the legal and the normal way to build “the WALL” – “EVERYTHING WE DO IS CONCERNED WITH THE PALESTINIAN GOVERNMENT!” He repeated this many times, because I tried to challenge him, not only one time. 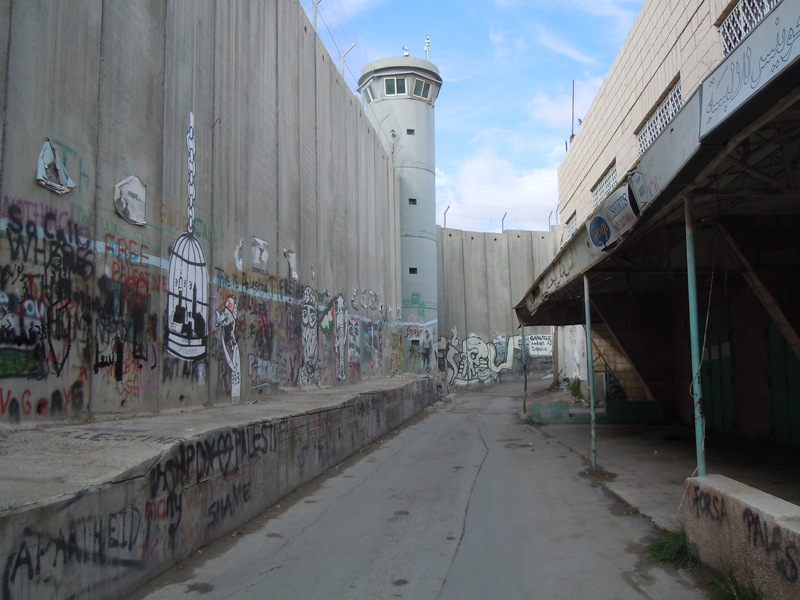 No wrong word…nothing, but not enough for us, because our eyes noticed the pain and perhaps apathy of the Palestinians in Nazareth and at the control points… It’s true that all the world accepts this new Apartheid, but I won’t accept it. This reflection is the one we are waiting for in this time of rampant consumerism on our continent. 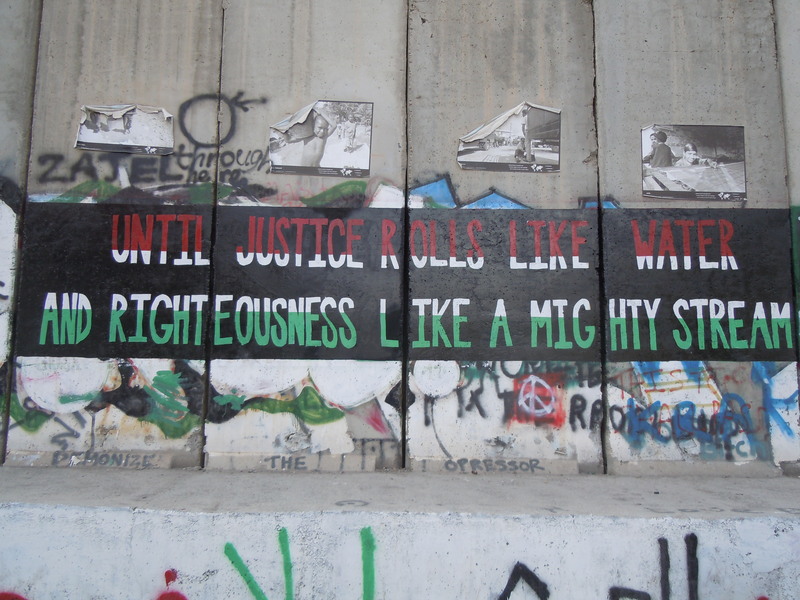 It shakes us up, reminds us of the best of struggles, sets our feet on the path of justice and compassion. May we be faithful. Succinctly and powerfully presented. I’m glad that Sherry Ann is instigating an action regarding “unsettled goods” within and outside our congregation. It’s a way in which we can help and not just watch and wait. Such abuses of power, Dawn! Although these stories are sad, they need to be told. Thanks for doing that!